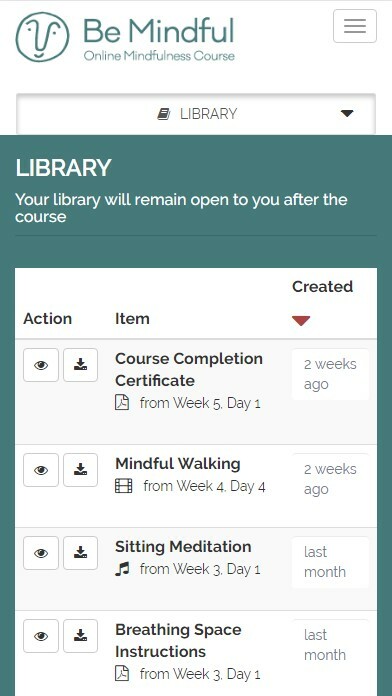 Be Mindful is an online course for reducing stress, depression and anxiety. It guides you through the elements of mindfulness-based cognitive therapy (MBCT). Be Mindful is for anyone aged 16 years or older who would like to work at improving their mental health and enjoy the benefits of mindfulness practice. The course is suitable for beginners to mindfulness as everything is introduced and explained as the course progresses. The course is all about practicing mindfulness, which is a mind-body approach to life that helps us relate differently to experiences. Mindfulness involves paying attention to our thoughts and feelings in a way that increases our ability to manage difficult situations and make wise choices. 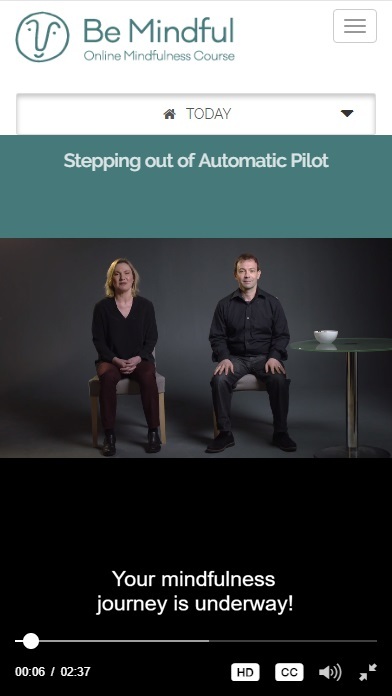 You'll complete 10 sessions lasting 30 minutes each that consist of video, meditation audio and interactive exercises. There are also mindfulness assignments to carry out in daily life and tools to measure any reductions in stress, depression and anxiety. You can complete the course in as little as four weeks, but you can take longer if you prefer – there is no time limit for completion. 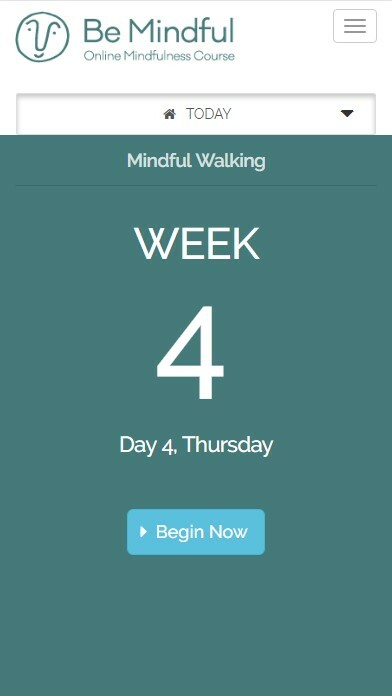 Visit www.bemindfulonline.com to access the Be Mindful course on your computer, tablet or smartphone. You can register for a free introduction and decide later if you wish to pay £30 to proceed with the course. The app developer is solely responsible for the advertisement, compliance and fitness for purpose of their apps and content. Apps are not supplied by the NHS, and the NHS is not liable for their use.